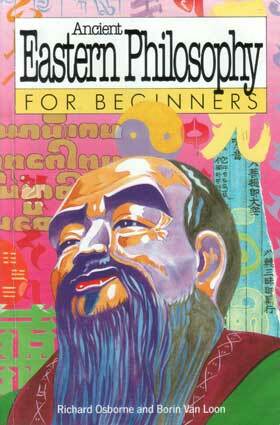 Eastern philosophy is the most ancient form of thought known to man, predating Western philosophy by some centuries. Dissatisfaction with materialism is turning Westerners towards the integrated approach of Eastern thought, but often in a vague and generalized form. Introducing Eastern Philosophy focuses on India and China, the two oldest and most influential origins of Eastern thought. It elucidates the complex schools of Hindu philosophy, the offshoots of Indian Buddhism, the traditions of Confucius and the Tao in China and demonstrates their fundamental differences from Western notions of truth. It makes clear the Eastern view of ultimate reality, the emphasis on selfless ethics and the quest for Enlightenment and shows how these ideas are set in a cosmic whole in contrast to the Western individual and scientific perspective. Perhaps that's all that needs to be said. This is another of Icon Books' graphic introductions to difficult subjects. In this case, Osborne and graphic artist Van Loon have probably taken on a bit too much - the whole of Eastern philosophy. Nevertheless, this 176-page picture book provides a sufficient overview of Indian, Buddhist and Chinese philosophy that it will act as a useful guide to those aspects of these traditions that you might want to explore further. It provides a basic primer on the underlying cultural attitudes of an East that is likely to become much more obviously equal to the West in economic terms over the next century. At the risk of gross over-simplification, we can see that these three traditions are all going to inform Eastern attitudes for many decades and centuries to come - and perhaps, as they grow and prosper, influence us in the West as much as we have influenced them during the Imperial Age. India is, in my view, a tougher nut for the Western mind to crack. The Westernisation implicit in the British Imperial project seems to have proved less embedded than we might have thought. The rise of an Indian nationalism of the Right is also a commitment to a particular vision of Vedanta that is unlikely to want radical reform of the caste system or the role of women. The whole 'karma' thing might appeal to the Western New Age but it is essentially a conservative model of the universe that is unlikely to appeal to anyone angered by the unresponsiveness or incompetence of their elected Governments. The conservatism of the New Indian Right may come to prove very problematic for Western liberals and especially for British liberals who have to cater for these elements in their own Hindu communities and coalitions. Osborne tries to show that the Eastern traditions have more in common with each other than any do with the West. I, for one, am not entirely persuaded that they are not distinct. The irruption of Buddhism into China was an alien graft from South Asia that, by the time it reached Tibet and Japan, eventually transmuted into something very different in Tibetan Tantra and Zen with their very different philosophical stances. What they do have in common is the lack of any notion of revelation outside the person and the use of texts as learning tools and advisories rather than as the basis for Truth. Much of the dynamism of the West comes from its revolt against the sclerotic belief in single texts (Bible or Koran) being repositories of Truth and so against limitations being put on philosophical investigation, much as small competing states energised technological innovation through near-perpetual warfare. Any Western Right that wants a return to tradition is asking for a return to text-based sclerosis and does not fully understand that Indian, Chinese and European pagan models may not have been very dynamic (based as they were on agrarian societies) but they were far more culturally dynamic than the book-obsessed over-intellectualised learning of the Christian, Jewish and Islamic Middle Ages. In the end, a lot of Western and Eastern philosophy is just dancing around the unknowability of raw existence and around the relationship between things and minds perceiving things in that context. One value of this book is in showing that there is not much that has been thought of in the West that has not appeared in the East - and vice versa. Nevertheless, there are significant differences in 'mentality'. The West has tended to separate out 'science' from 'faith' and to see them in challenging opposition. The West loves struggle because it is creative - its culture is based on intellectual war and on crowing victory from the rooftops before falling to the next challenger. The quintessential Western philosophy is Hegelianism with its thesis facing off an anti-thesis to create a synthesis that becomes a thesis. The Chinese approach is to see things in terms of opposites that must be recognised as being engaged in a permanent struggle. We, in the midst of it all, must be actively engaged in calibrating these forces into a middle way. This is the natural way, the flow of a stream around boulders to the sea. The Chinese, despite the incursion of Buddhism, which eventually beaches in two cultures wary of their great neighbour (Tibet and Japan), have their own internal philosophical yin and yang in the competing but also mutually accommodating traditions of Confucius and the Tao. There is something deeply humane about the original Chinese solution to the problem of organising and living in an agrarian society - family life and the State are ordered in ritual and duty while the individual flows through the vicissitudes of life with an attitude of withdrawal and self-development. The Indians have a similar model but treat, in a more essentialist and less natural way, the individual as preparing himself to be first a functioning part of society and, then, passing on to what may be called a form of living death of contemplation in the hope that the next reincarnation will raise his status in life. Both are philosophies of hopelessness about radical reform or change except towards some kingly or monkish ideal but the Chinese does permit the existence of a private life alongside the public, whereas Indian philosophy (in its ideal form)turns a man into simply the body for a travelling soul. In that sense, to return to the Nietzschean analyses on which we so often fall back, the Chinese way is essentially life-affirming and the Indian way life-negating, with the challenge and irruption of Buddhism being an attempt to moderate negation in one culture only to import it into the other. Fortunately, East Asian cultures, like Western cultures much later, have proved surprisingly resilient in the long run. Tibetan Buddhism, Zen and Neo-Tantra are far removed from Vedanta. But even Vedanta is far from fixed in its thinking. Yet, within its basic framework, its many strands generally remain coherently Indian and different from the West. Yes, there has been some influence from Western methodologies but these have been absorbed and are perhaps now being reversed as Indian nationalism makes it increasingly less difficult to not be overly-submissive to British-inspired modernisation and 'reform'. The Chinese similarly have not allowed the West to decide how they are to think with one major exception for which the ground was prepared by the regrettable but possibly necessary introduction of Neo-Confucian ideas. The cultural strength of China lay in the calibration of Confucian and Taoist thinking but it assumed an agrarian Middle Earth that was not disrupted by international trade, by more innovative invaders and by massive population pressures. The political and economic situation of China was often far from stable. The constant calibration was painful and increasingly ineffective. The arrival of 'foreign' Buddhism in itself is perhaps a sign of stress with Buddhist reincarnation have the same effect on the suffering poor or relatively deprived as Christian Salvation had on a flailing Roman Empire. Neo-Confucianism and Imperial Paganism in the West have much in common functionally but the latter fell before demotic Christianity in a way that Neo-Confucian Order did not before Buddhism. In Europe and the Mediterranean, Christianity and Islam and their texts triumphed but the Chinese traditional order fought back with an assertion of hard-line quasi-textual Confucianism over Taoist withdrawal. On top of this, the second serious collapse of the old order under Western Imperial pressure saw Marxism-Leninism arrive as a useful appropriation by Mao of the nearest invader philosophy available to the traditional Yin-Yang model that was normal to Chinese thought processes - bringing us back to the essentialism of Hegel by the back door. Today, China is two steps away from its traditional and relatively humane model of balancing individualism and nature (the Tao) and public order and duty (Confucius). It has shifted sharply to the Right (authoritarian neo-Confucianism) and then to the 'Left' (a form of social or collectivist Anti-Taoism derived ultimately from Hegel) and it has now settled into a form of Socialist Confucianism that represents a major intellectual, philosophical, cultural and now military and economic challenge to the rest of the world. This leaves us with the question of the effects on the West of all these traditions that have evolved over thousands of years - with Buddhism the relative parvenu alongside the religions of the book. The best of Eastern thought has made an immeasurable contribution to the revival of serious thinking about the West's own inheritance. With the possible exception of the remarkable emergence of Zen in Japan and some aspects of Tantra (at a pinch), none of these traditions of the East can be called existentialist as such: they all, at the end of the day, have some essence of man or society to which they look. However, the sophisticated approaches to Being, Man and Society of Hindu and Tao thinkers in particular have allowed new ways of looking at the world that have worked to build understanding of the possibility of an actually lived existentialism as well as to explore the links between the mind and the body - and with social reality and 'things in the world' - with more data. The Western rebellion against the text became fully radicalised only within the last hundred years and has converged with what might be called the 'religious common sense' findings of the Indian and Chinese sages. It is not that European thinkers are likely to adopt Eastern ways (that is for mystics and New Age types) but that the investigations and techniques of the sages add serious value to the post-modern philosophical questionings of the West - even if the research needs to be mindful that we are looking for diamonds and nuggets of gold in vast masses of ore nade up of Sanskrit obscurity and gnomic Chinese sayings that may mean nothing or everything. At the other extreme of sophistication is the convergence of the creation of the 'new religions', often trying to emulate a pre-text paganism whose records have mostly been destroyed, with the discovery of the pagan reality of modern India and (underneath the modernisation) Tibet, China and Japan. We might add to this the rediscovery of indigenous shamanistic cultures and of African and Latin American folk religions. In a sometimes desperate search to find the true nature of lost Western paganisms - a frenetic process that is scarcely a century old and parallels the very separate process of the discovery of existentialism - the East is a fertile ground for uncovering data that might suggest how we should be thinking if we are to rediscover our 'natural' roots. The first ports of call tend to be tantra, tao and zen because each of these can connect to pre-existing Western concerns. Tantra appeals to the transgressive and rebellious in a highly individualist and non-traditional society (despite being traditionalist par excellence in its own territory). It has developed a role in the 'dark arts' Magickal community, in the benign but shallow waters of New Age sexuality as Neo-Tantra and in the growth of more mainstream Buddhism, with its increasing 'Tibetan' bias, as a middle class response to the need for meaning in a world filled with ennui, powerlessness and anxiety despite apparent prosperity. The Tao has emerged as the basis for new age thinking on health and the environment but has also become an influence by analogy in attempts to reconstruct the Neo-Pagan Heathen Way of Wyrd espoused by Brian Bates, a world in which the cultures of the North Europeans share dragons and shamanistic origins with our Eurasian Chinese brothers. Zen is where new popular thinking merges with the high thought of existentialism and phenomenology. Japanese culture intrigues many Westerners as being both one of the most modern and one of the most culturally coherent in itself. There may even be envy in some quarters at its dynamic purity - Zen is where the East meets the new existentialist concerns of the thinking Westerner who wishes to detach himself from politics and from the frenetic pace of modern media culture, often while working within it. As for the future, Westernised derivatives from the East are unlikely to be of interest to the East itself - the flow is largely from there to here and the flow in the other direction is not 'spiritual' or intellectual but material and technological. They are revolutions within the West for the West that merely intensify its dynamic and innovative individualism and that bring yet more creative chaos, much to the despair of increasingly discredited ruling elites who would dearly like to introduce Augustan order to their crumbling empires.